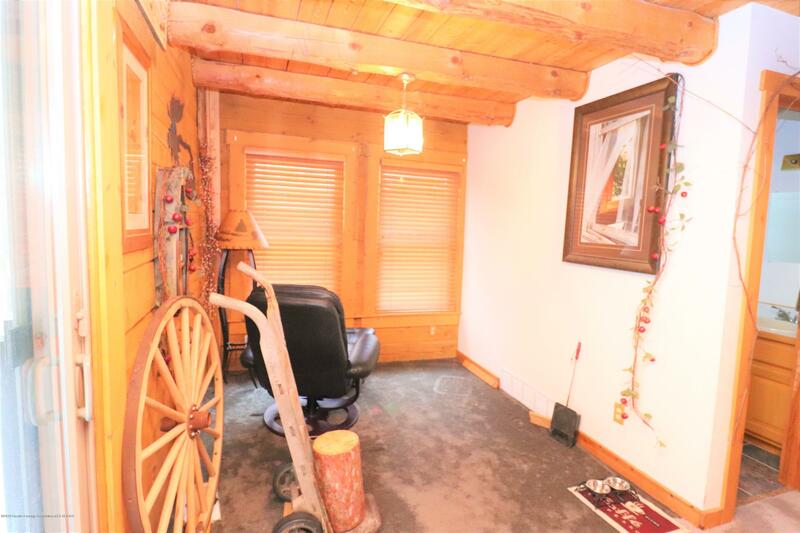 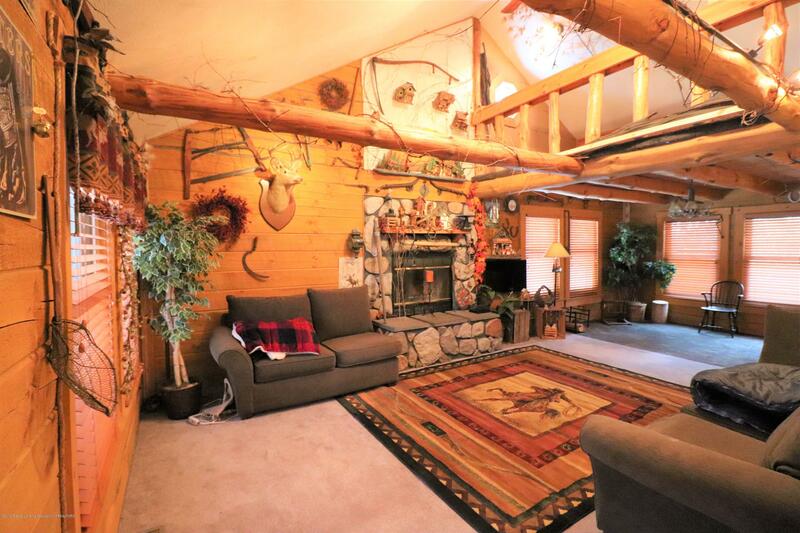 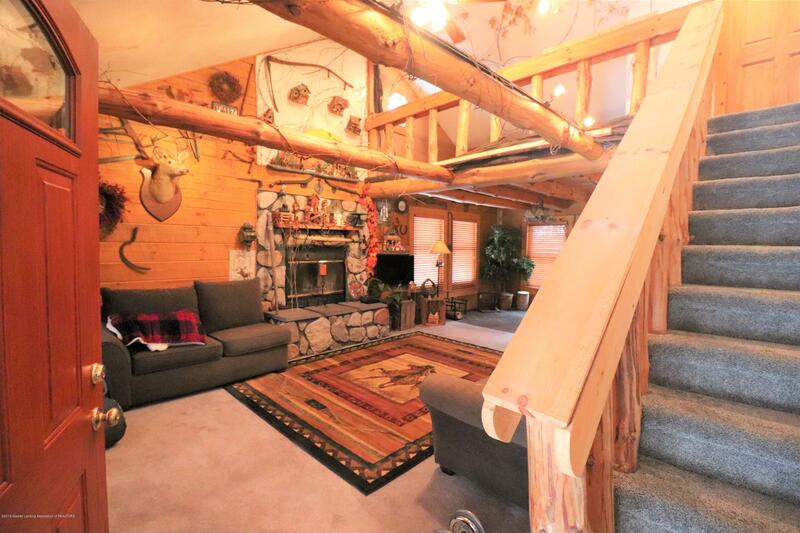 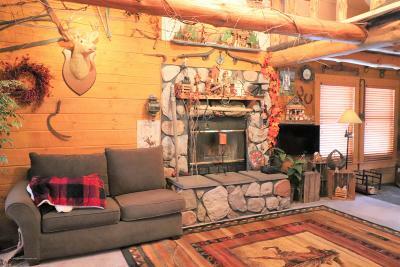 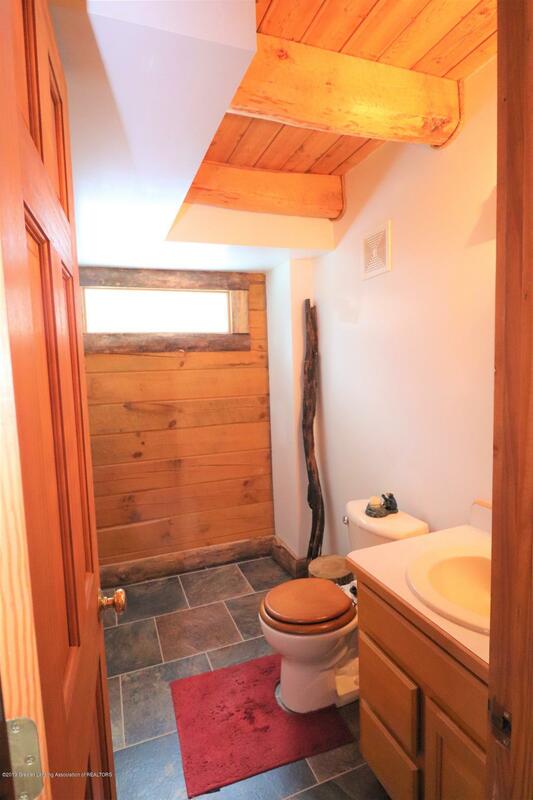 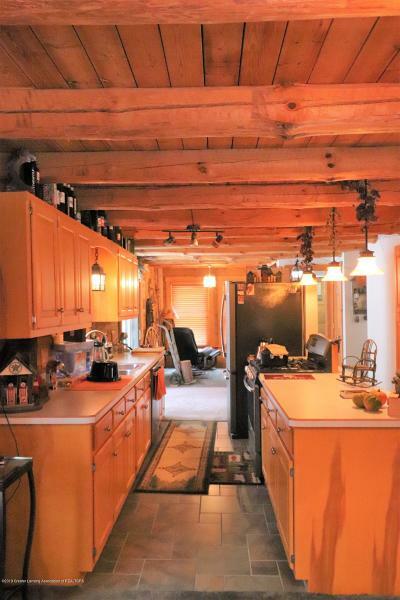 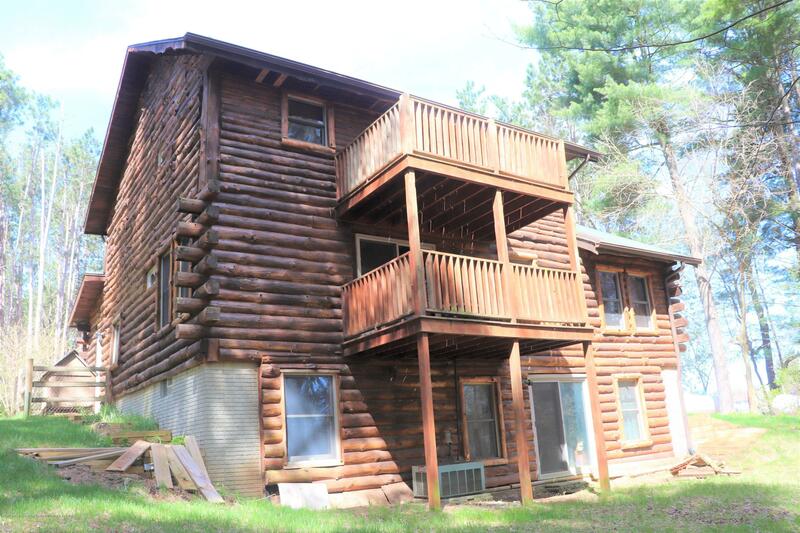 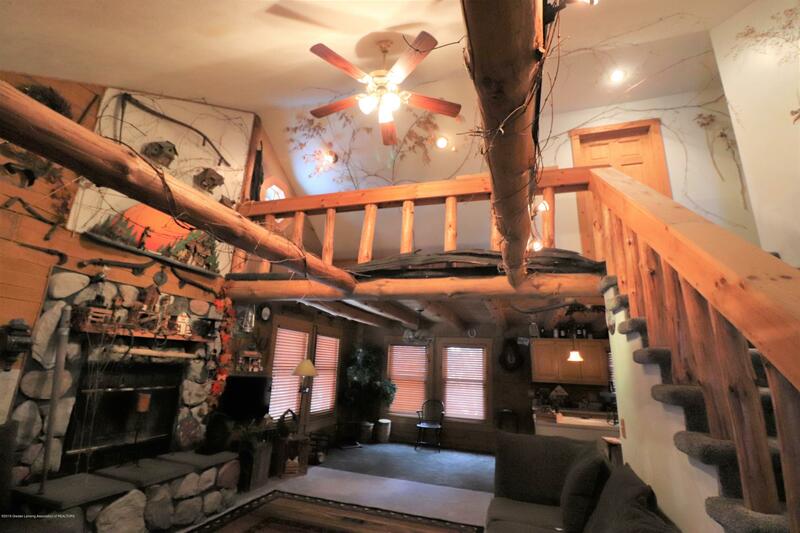 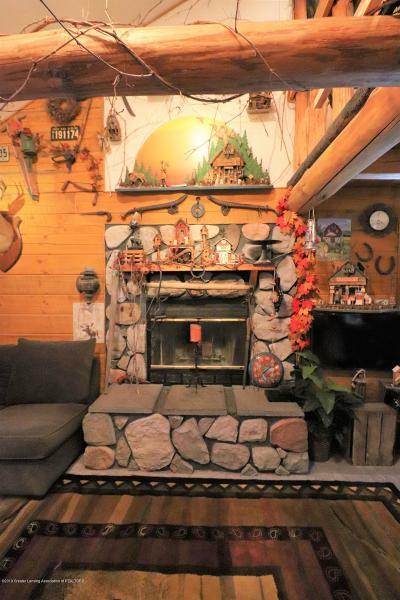 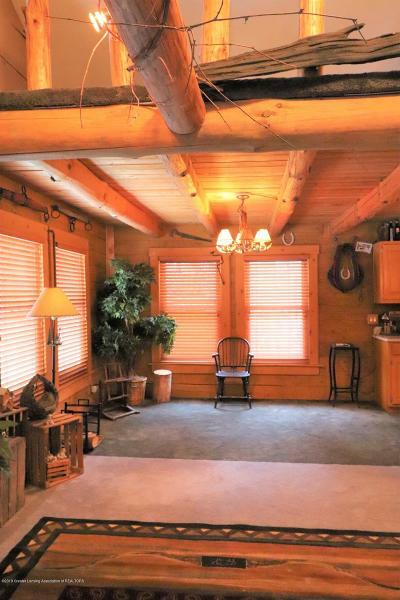 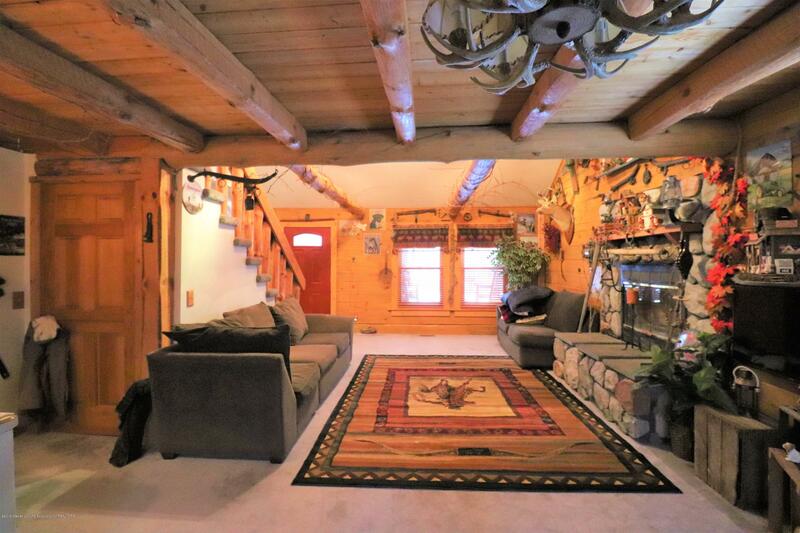 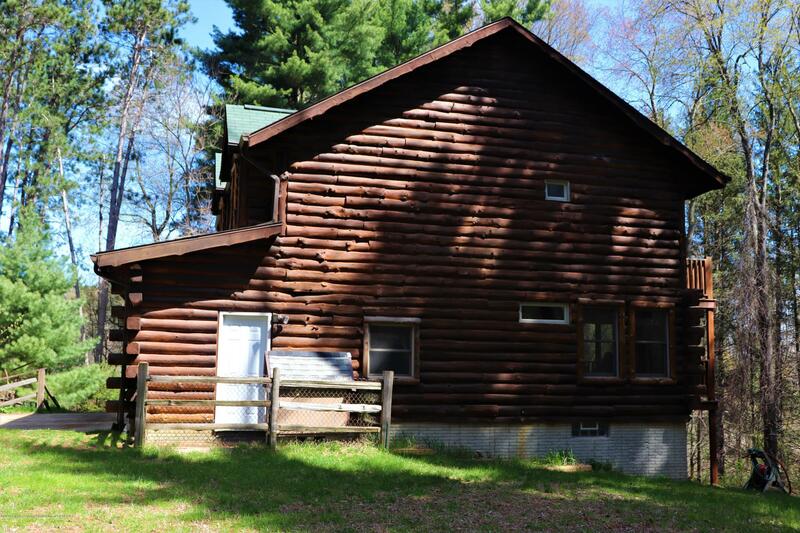 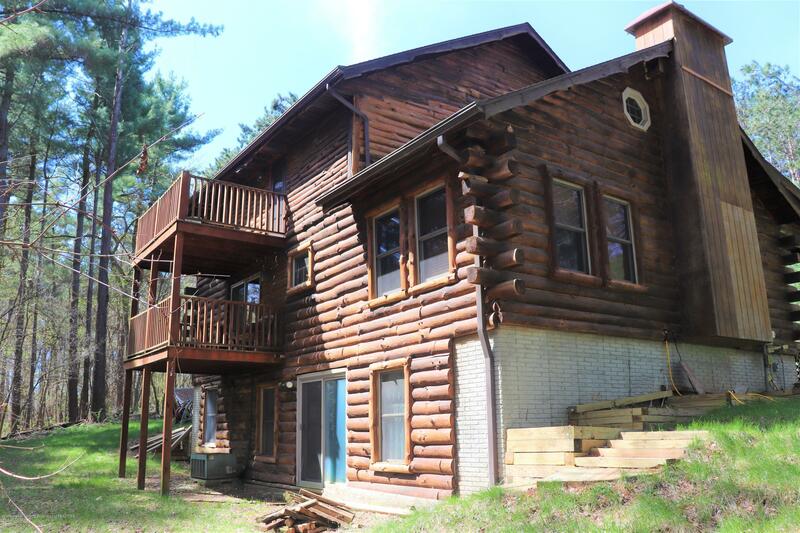 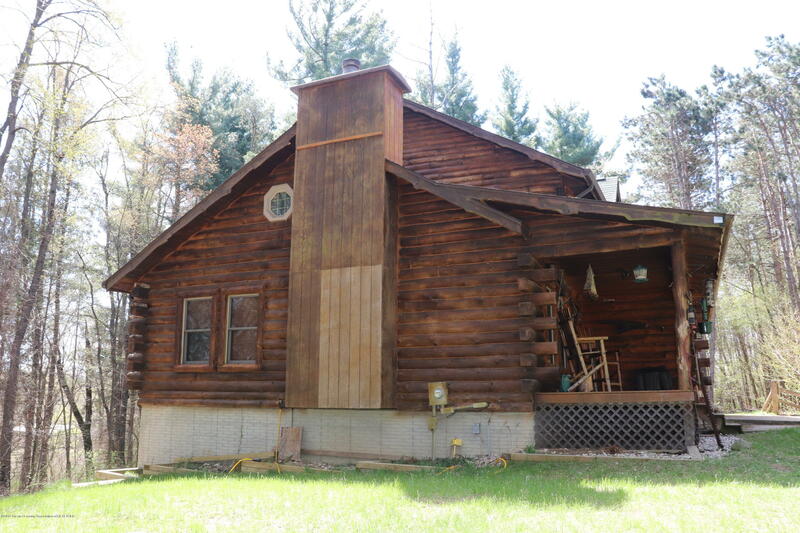 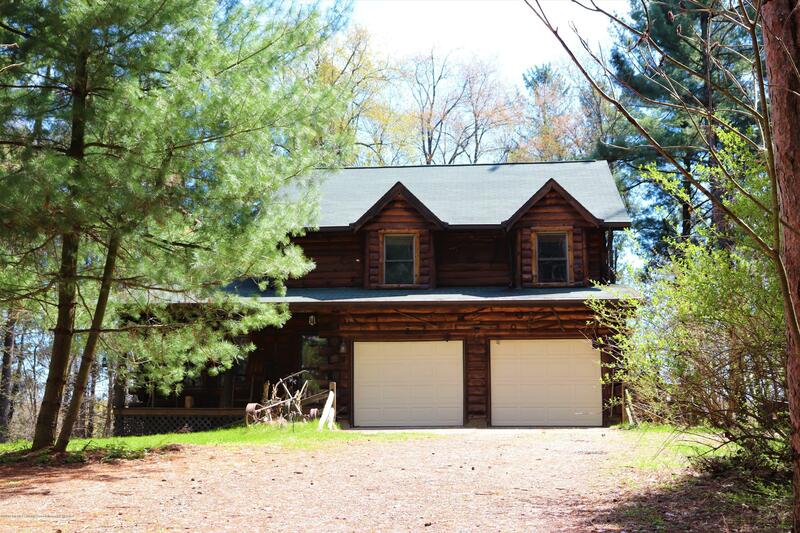 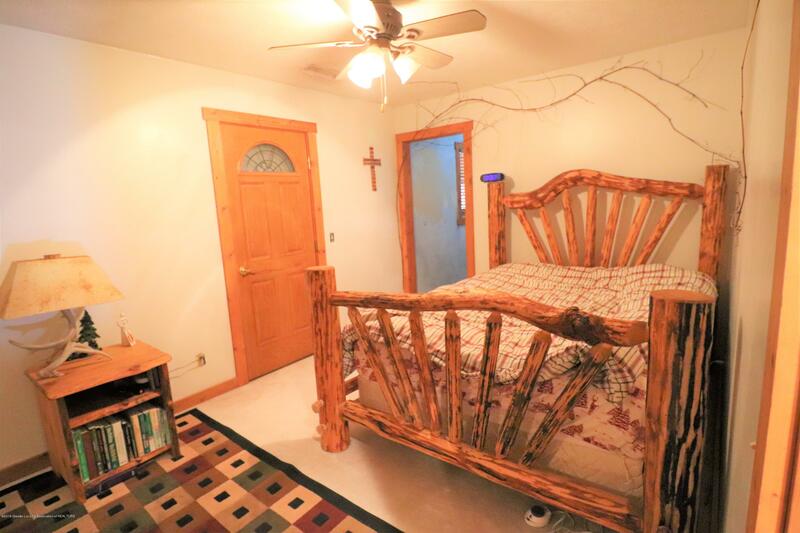 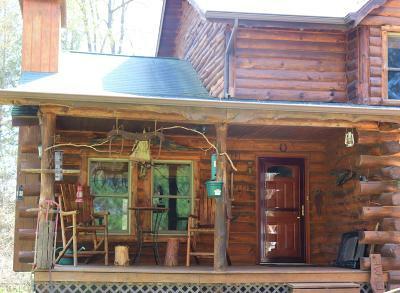 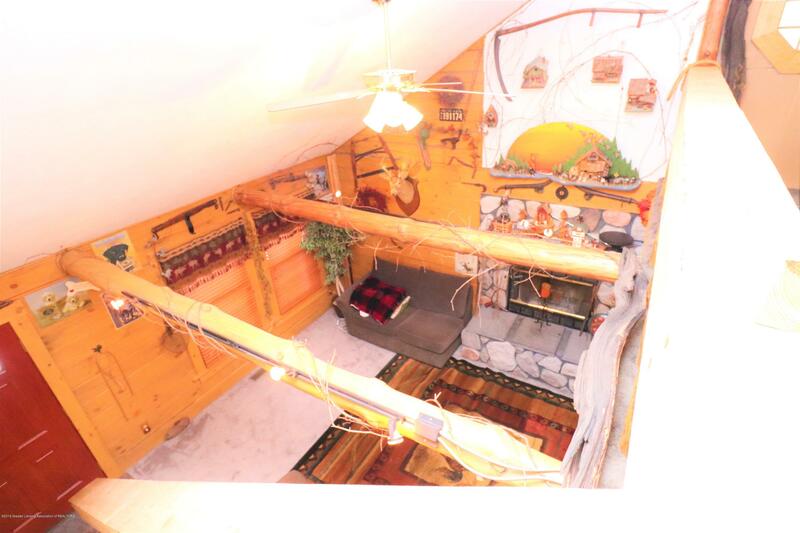 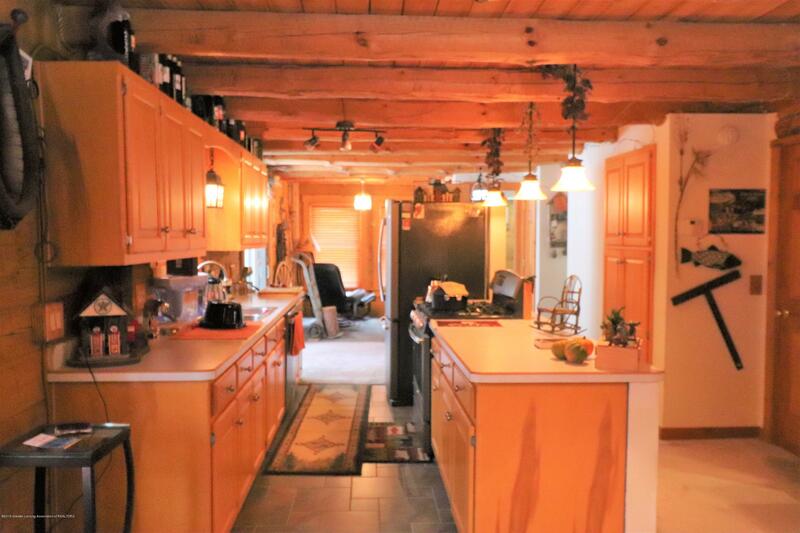 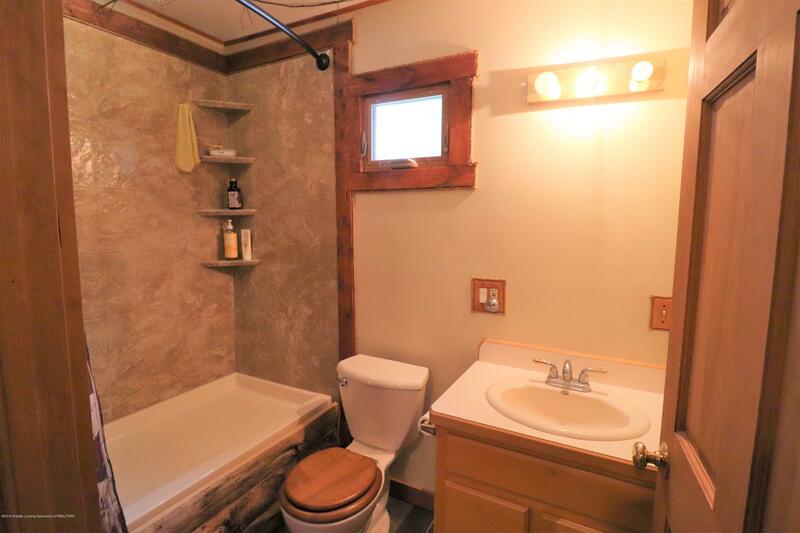 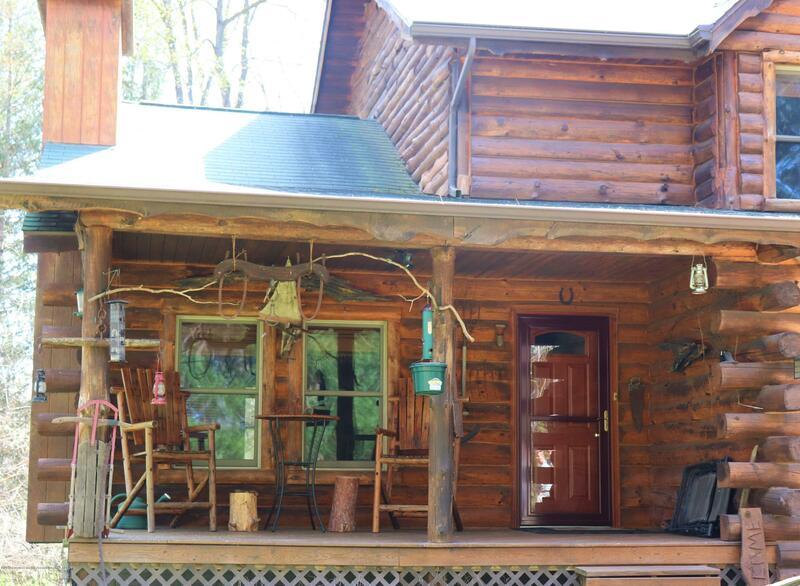 Built from red pine on a secluded 3 acre wooded parcel is this wonderful log home. 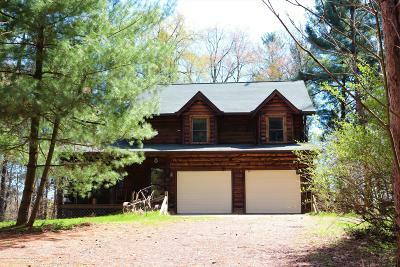 Pines and hardwoods are visible from all angles. 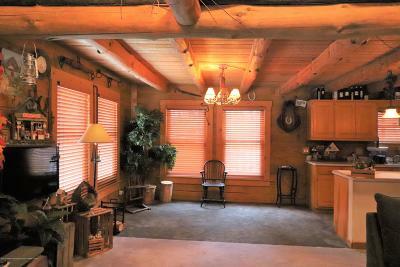 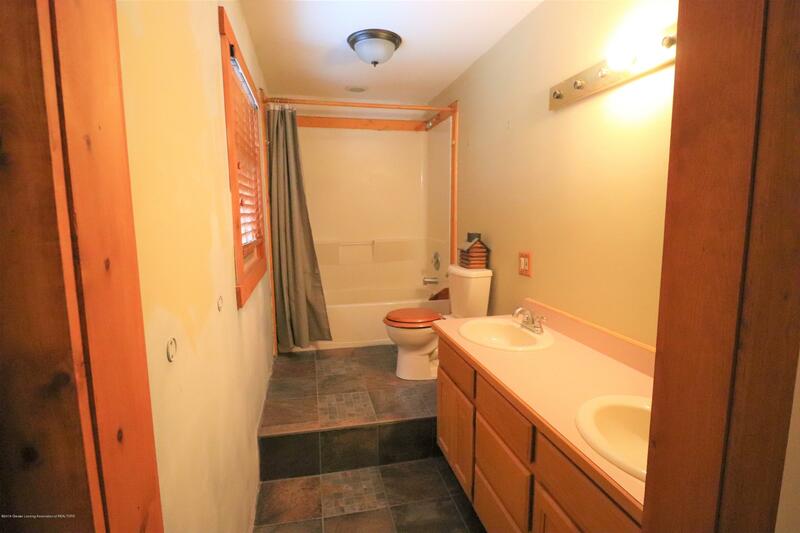 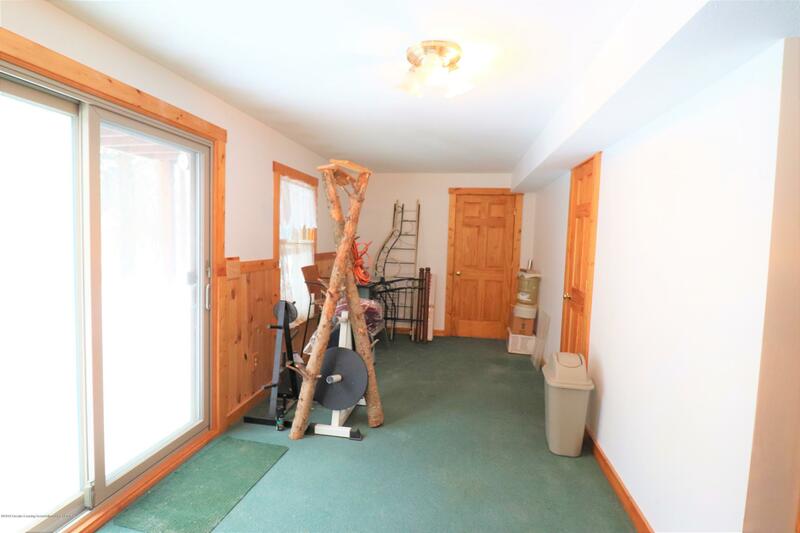 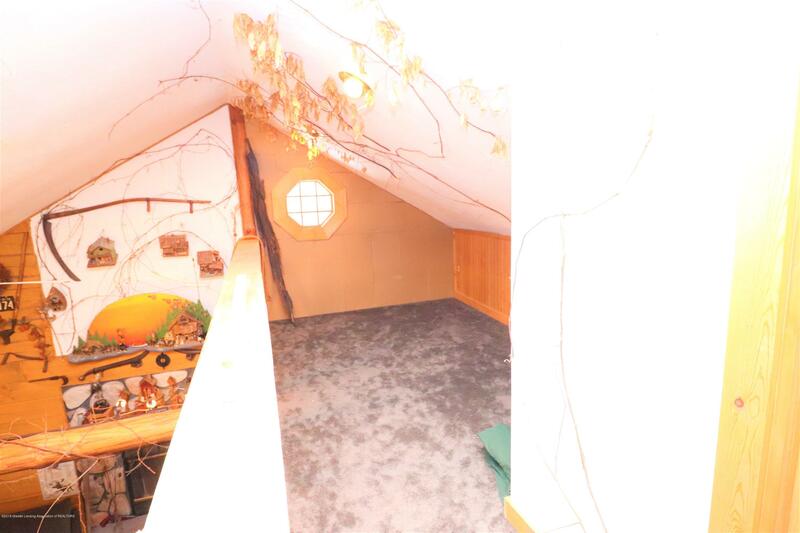 This warm and inviting property is sold fully furnished and all decor is included. 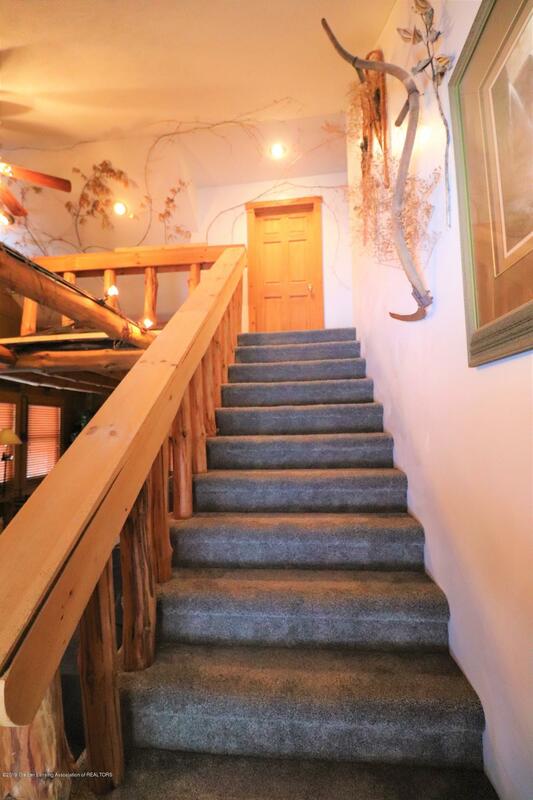 It's a majestic hideaway and features 4 bedrooms and 2.5 baths, A grand entrance, exposed beams and an open loft give this home an expansive feel. Rustic up-north decor and interior pine throughout are impressive. A custom galley kitchen with formal dining area and an additional breakfast nook affords views of the surrounding wildlife. 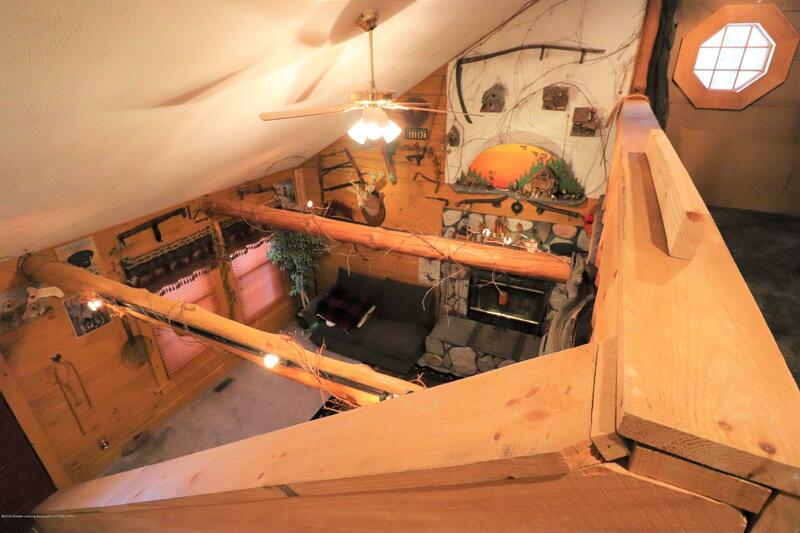 The large master suite with a 2nd floor balcony allows for watching morning sunrises. 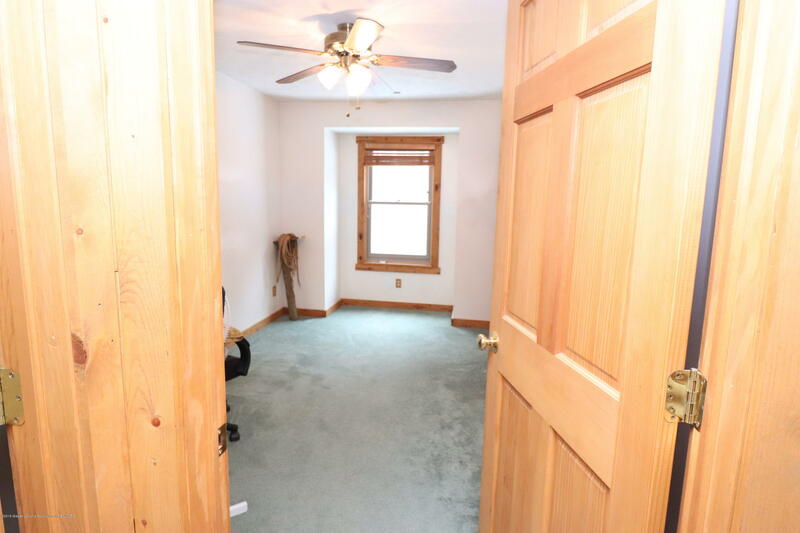 Two add'l bedrooms and 2nd full bath finish out the 2nd floor. 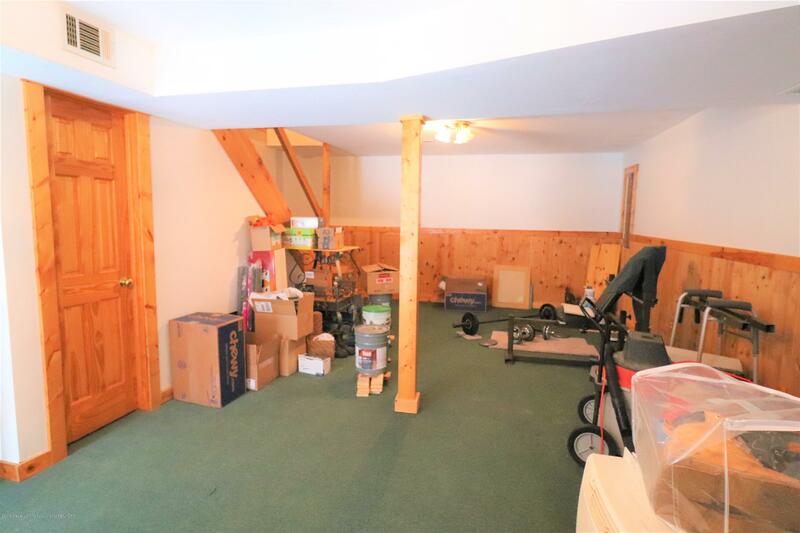 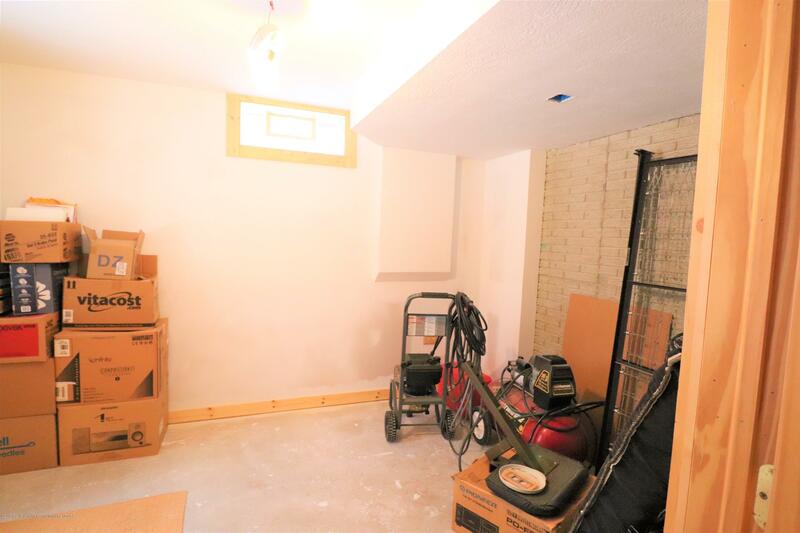 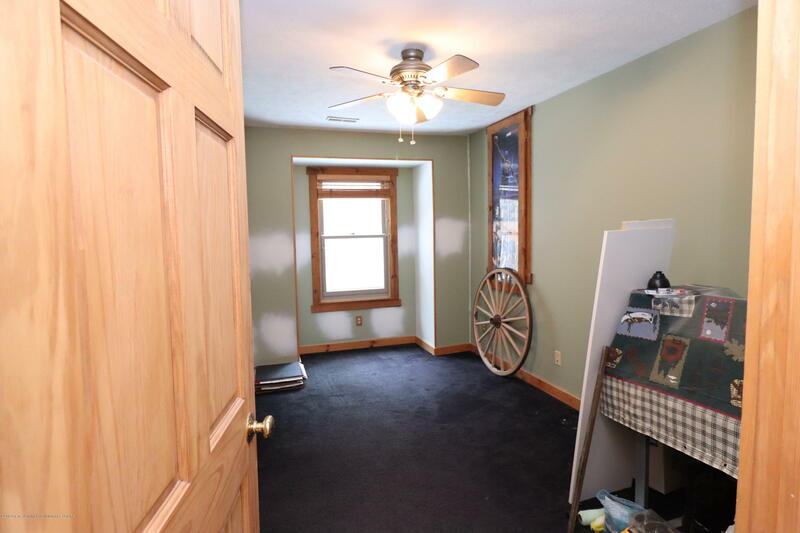 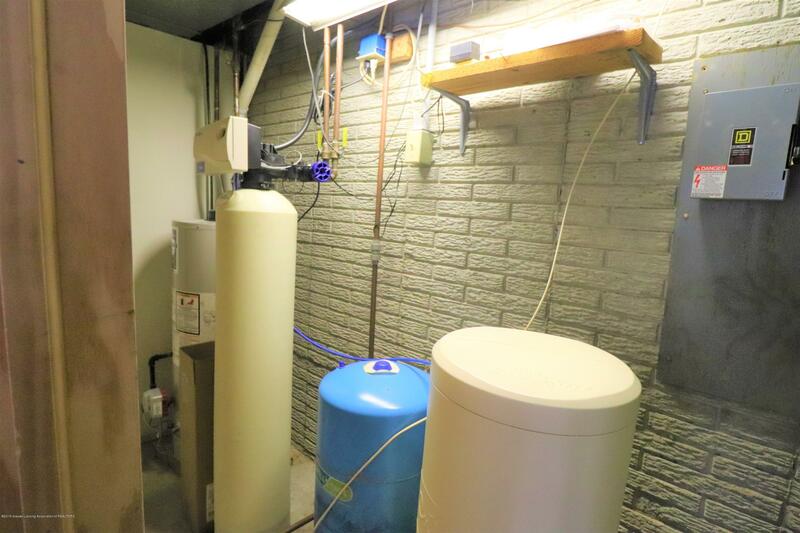 The finished walk out basement features a large entertainment area & the 4th bedroom/den.